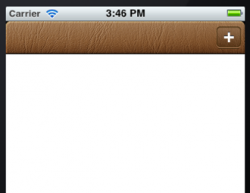 Learn how to make a stylish leather navigation bar - from scratch! In this tutorial, you’ll learn how to make a stylish leather navigation bar for your app, complete with buttons – from scratch! Not only will you go through creating the design, you’ll also export the custom bar and buttons and get them working in a sample Xcode app. The best part is you’ll be able to re-use the skills you’ll learn in this tutorial to create all sorts of custom navigation bars – in case you want a different look than leather. 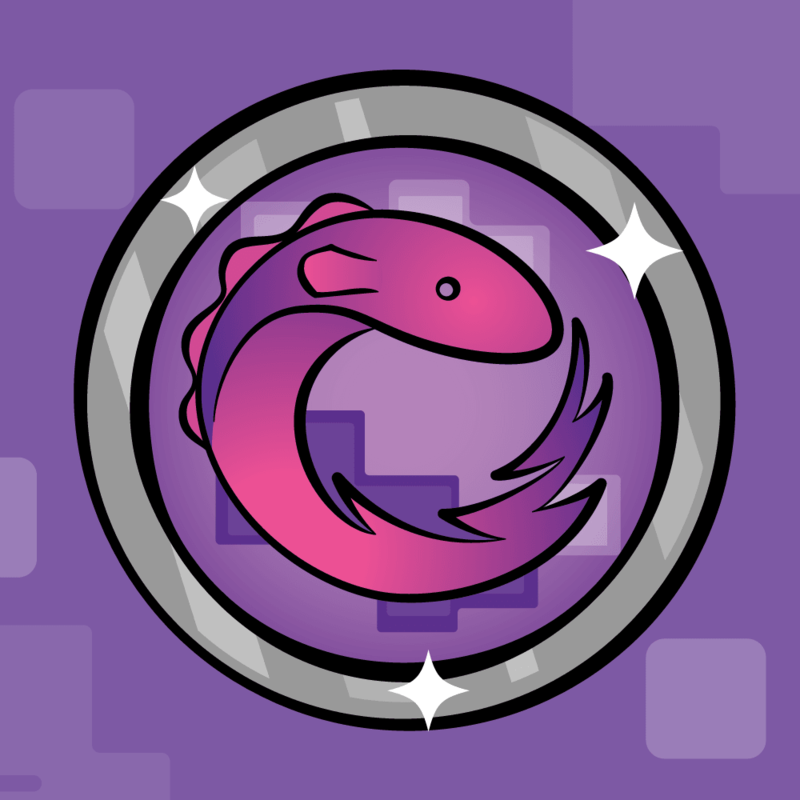 And to top it off, the end of the tutorial rewards you with a free design-related goodie from App Design Vault! This tutorial is for developers who want to learn a little bit about design. To go through the tutorial, you need to have Xcode and Photoshop. If you do not have Photoshop, you can download a free trial from Adobe. 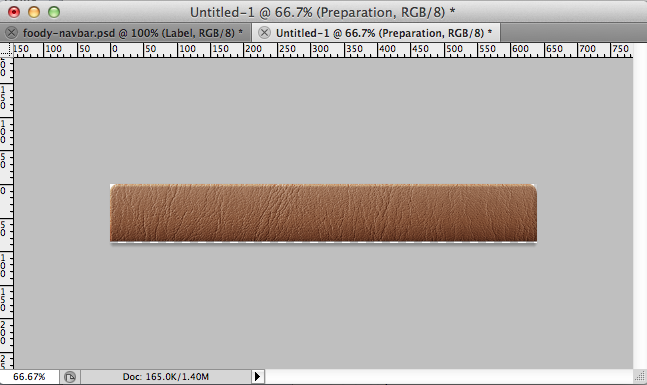 Now before I start making jokes about another kind of leather bar, let’s get started! 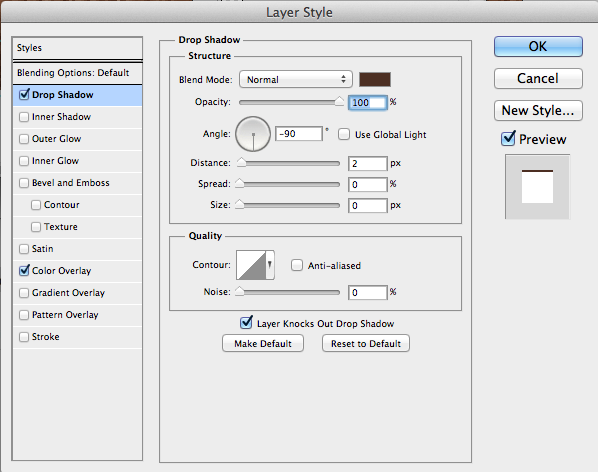 Open up Photoshop and create a new document with the following settings. Use the dimensions 640×960 px, which are the retina dimensions for the iPhone. 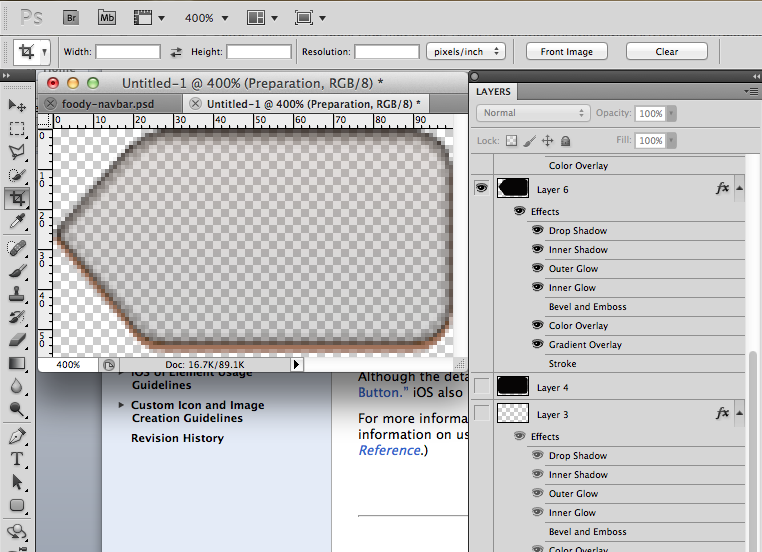 At the end of the tutorial, you’ll down-scale the design for the non-retina version. To make it easier to integrate a navigation bar with an app, it’s good to add some guides to help with creating graphics that have the correct dimensions. 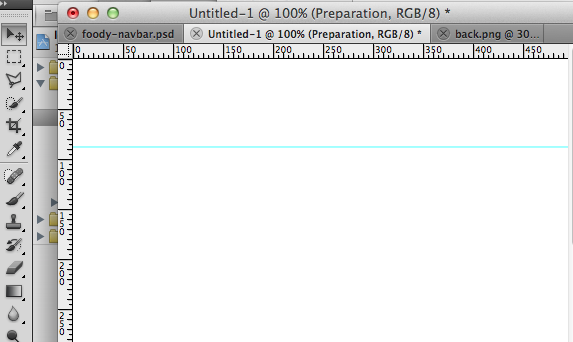 Drag the ruler onto the document to create a new guide, and let it go when you get to 88 pixels in height. Alternatively, go to View>New Guide, select Horizontal, type 88 for Position, and click OK. Create a new layer by clicking the New Layer icon in the Layers panel. Go to View>Snap To and make sure “Document Bounds” and “Guides” are both checked. This will make creating the shape easier. 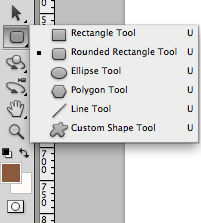 Select the Rounded Rectangle Tool and give it a radius of 15 pixels. Select the “Fill Pixels” option. Draw a new shape around the top of the document to form the background of the navigation bar. You should now have a rounded rectangle at the top of the document. The bottom of the navigation bar will be a straight line. 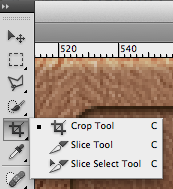 To get the straight bottom, use the selection tool, select the area below the guide and hit Cmd-X to delete it. 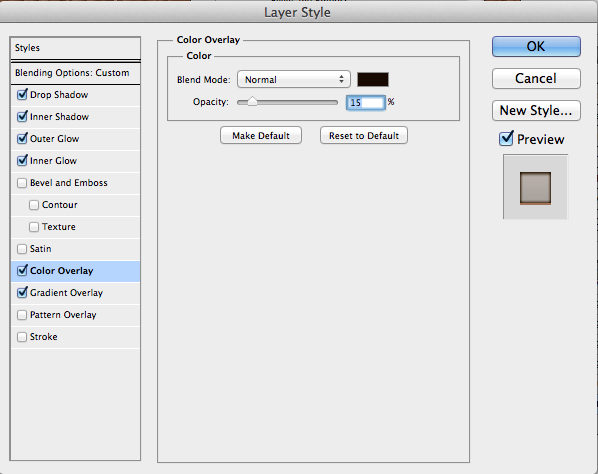 When editing an item, make sure the corresponding layer is selected in the Layers palette. 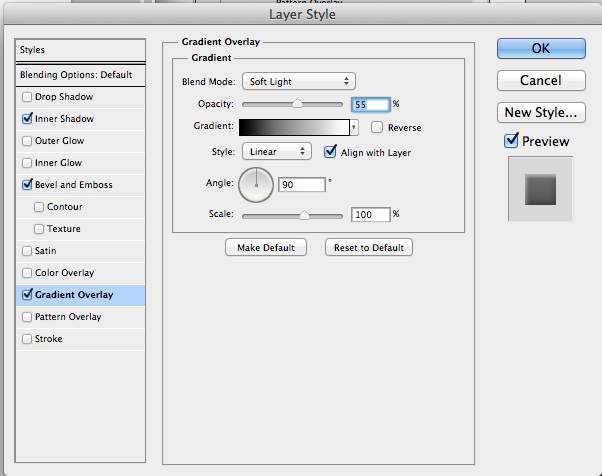 Otherwise you will edit the layer that is selected rather than the one you intended to edit. The next step is to add some depth to the background. Right now it looks flat and doesn’t feel like a visual element. The way to achieve this effect is by adding layer styles in Photoshop. 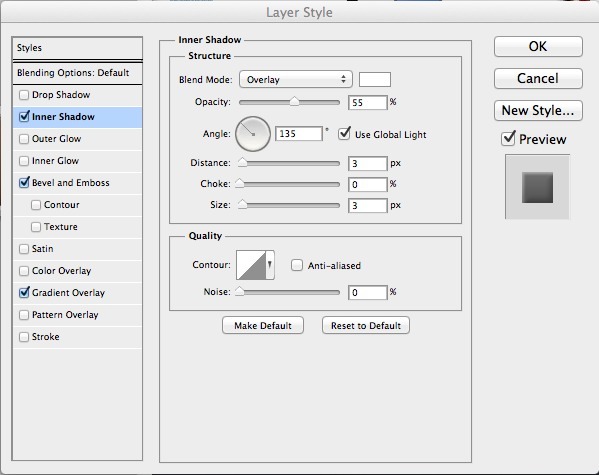 This tutorial is going to use a lot of layer styles to make shapes come to life. That is the secret of making great designs! The first layer style to add is the inner shadow. 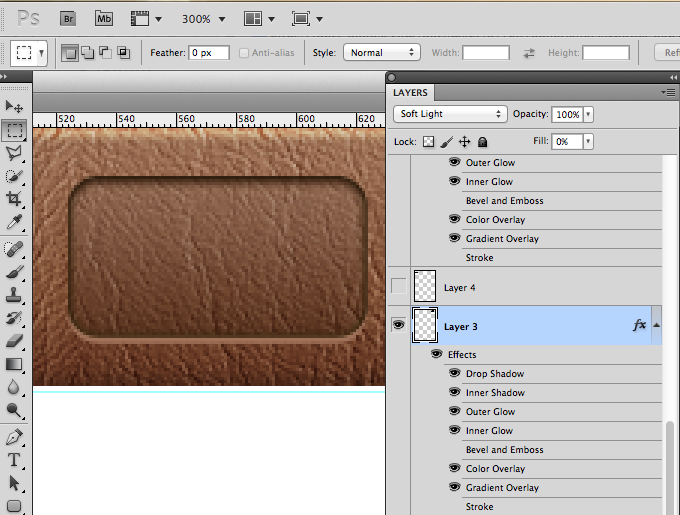 Double-click on the brown navigation bar layer in the Layers panel to bring up the Layer Style window. Click on Inner Shadow. Now the box next to Inner Shadow will be checked and you will see all the options for the Inner Shadow style. The navigation bar should look like the image below when you are done adding these styles. Now the bar has more of a 3-dimensional feel to it. The next step is to add a leather texture to the bar. There are two ways to do this. You could use filters to create a leather texture, or you can download a ready-made texture. 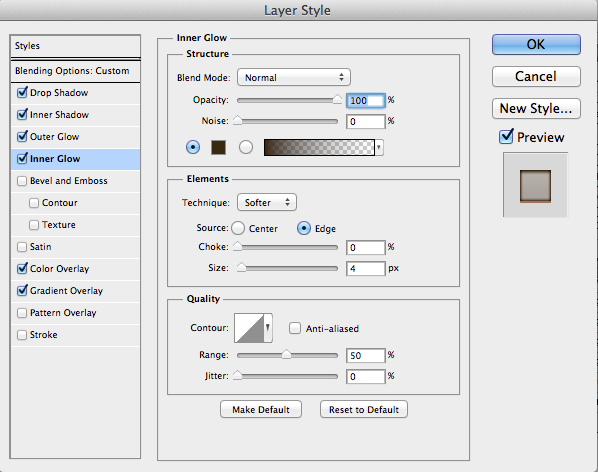 Using filters to achieve a leather effect is another tutorial in its own right. 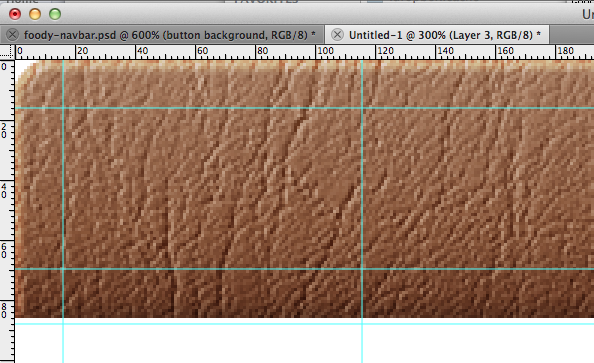 However, since I am an efficient (*cough* lazy) developer, I am just going to use a downloaded leather texture. You can buy one from iStockPhoto.com. You can also find a free one at cgtextures.com – just go to the Fabric/Leather folder. 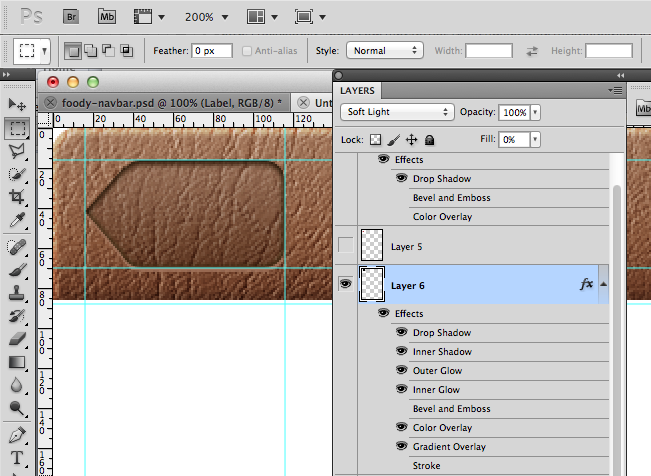 Open your leather texture in Photoshop. Select all by typing Command-A, and then copy by typing Command-C. Go to your leather bar document and type Command-V to paste it in as a new layer. 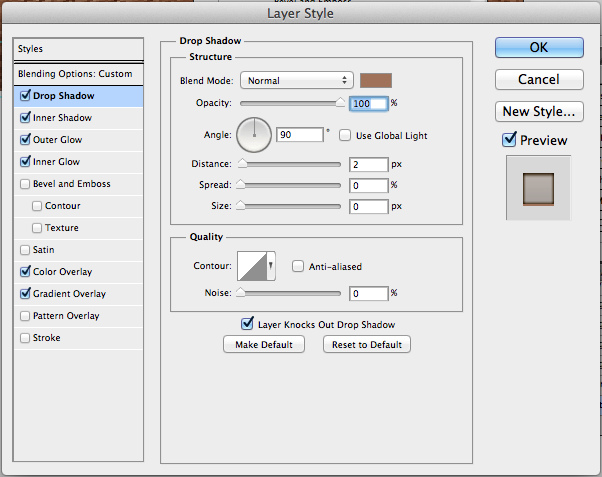 You want the texture layer to blend with the background, so modify the layer blending mode to Soft Light. 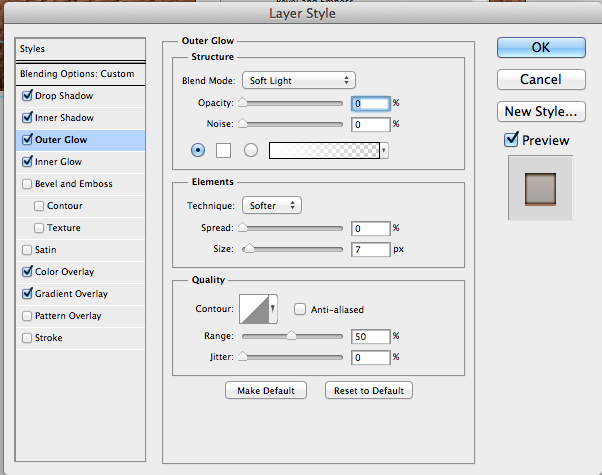 Next, command-click on the thumbnail of the brown bar in the Layers panel. 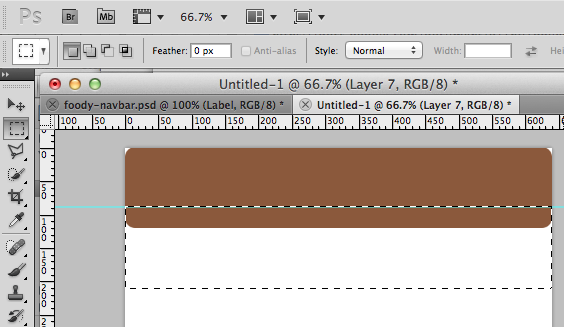 This selects the area of the brown bar. 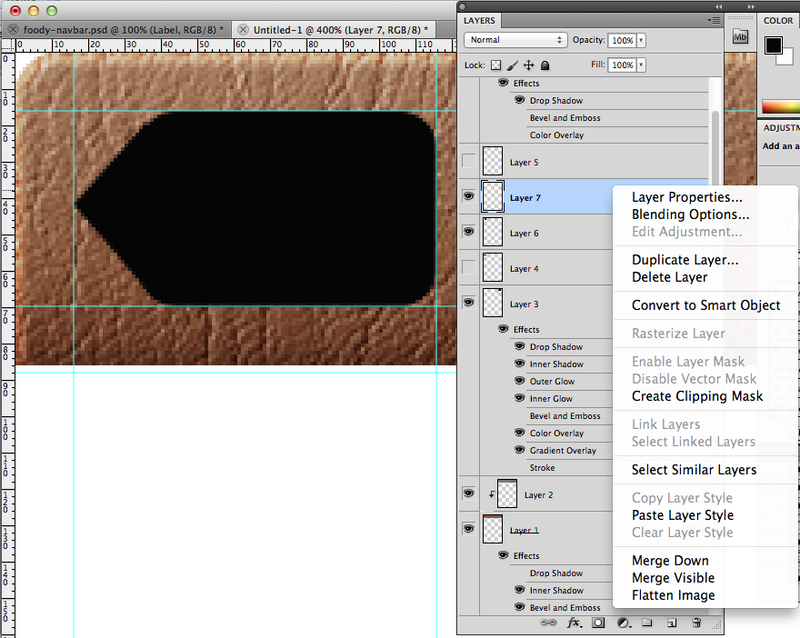 Make sure the leather texture layer is still selected in the Layers panel, right-click on the layer, and select Create Clipping Mask. 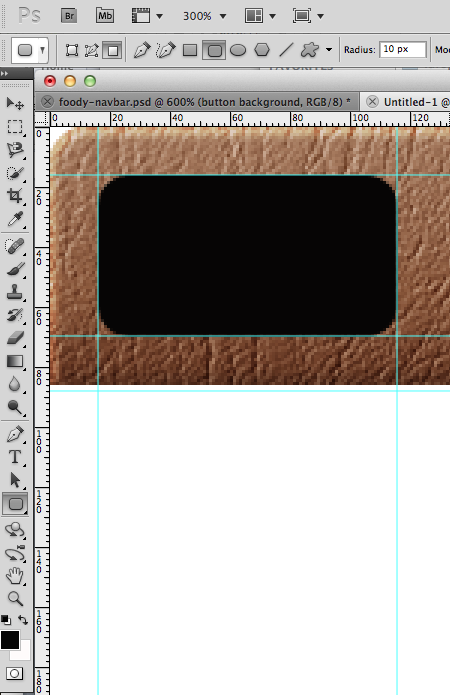 The clipping mask will crop the texture layer using the edges of the brown background, so that the bar remains rounded at the top. You’re done with the navigation bar background. You could export it as-is and start using it in your app, but you’ll find that the default bar/back buttons won’t look very good with the leather navigation bar. Why don’t you create some buttons that will blend nicely? 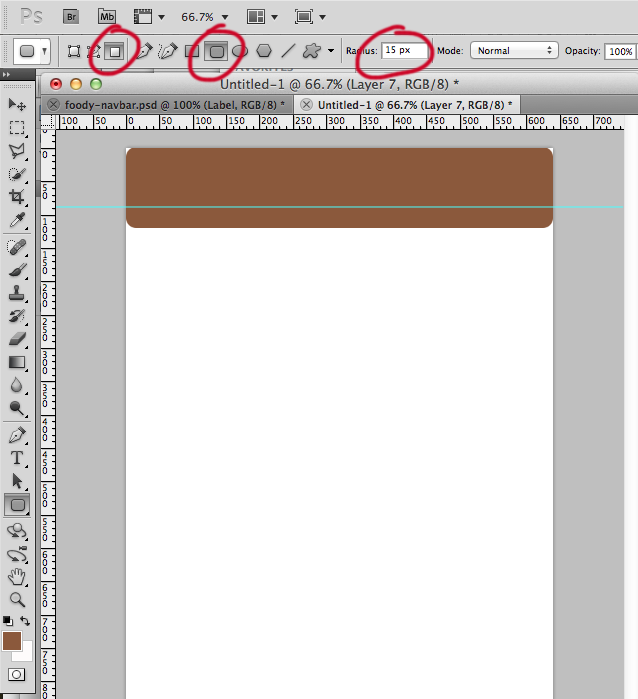 Drag some guides onto the document to form the frame of the bar button. Create a new layer. 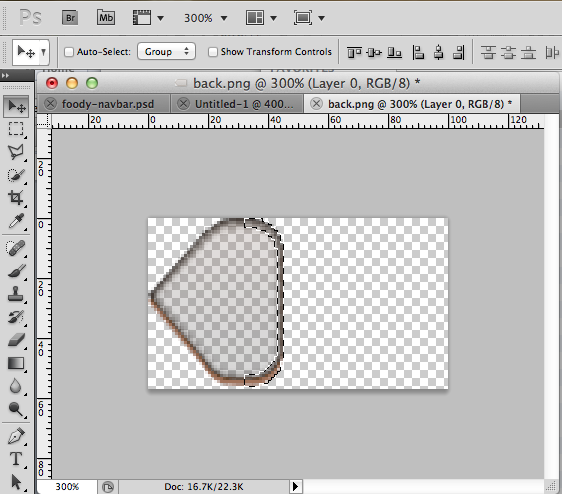 Change the foreground to black and select the Rounded Rectangle Tool again. 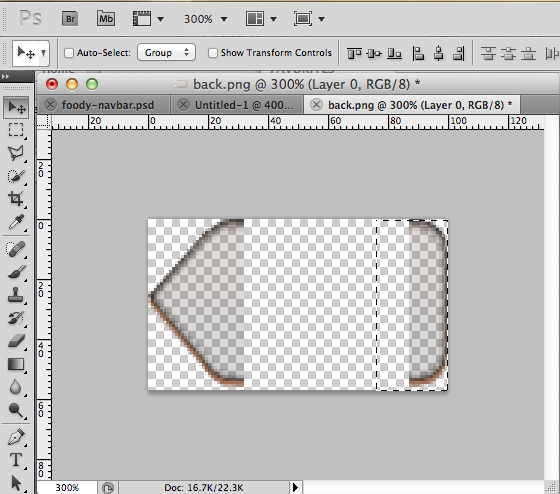 Change the radius to 10 pixels, and then draw a rectangle within the guides. 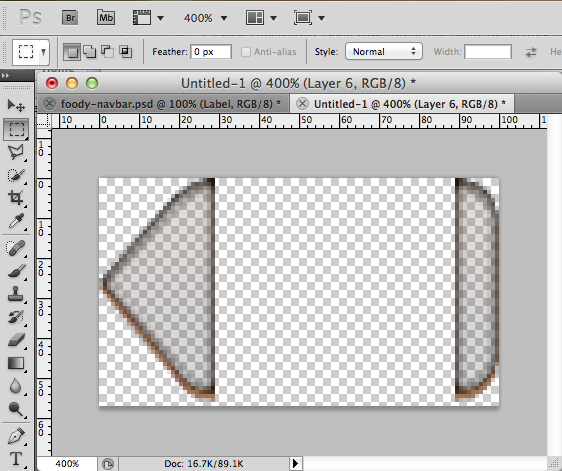 Now do some more layer style magic. 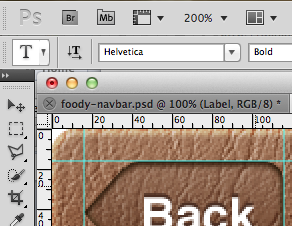 These layer styles will give the illusion that the button is inset into the navigation bar. 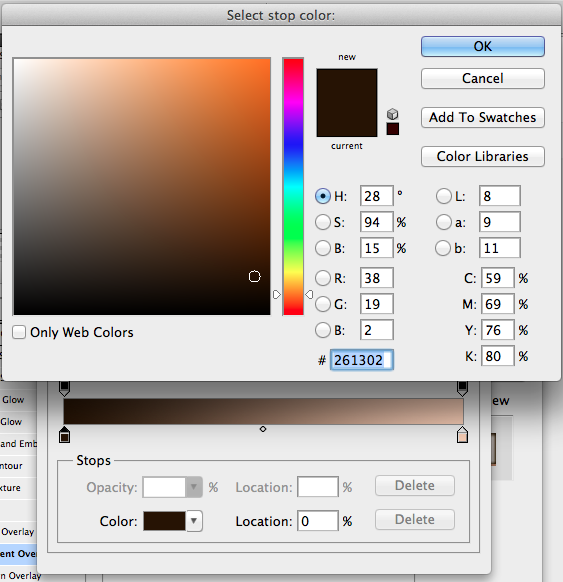 To set the correct gradient, which will go from a lighter to a darker shade of brown, first click on the gradient bar. The gradient settings will pop up. 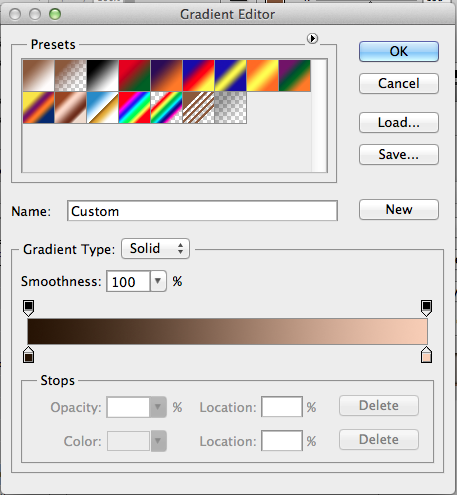 Modify the start and end colors by double-clicking on the stops (the triangles below the gradient bar). The left stop should have the color setting #261302 and the right stop #f7ceb3. The next step is to add text to the button. 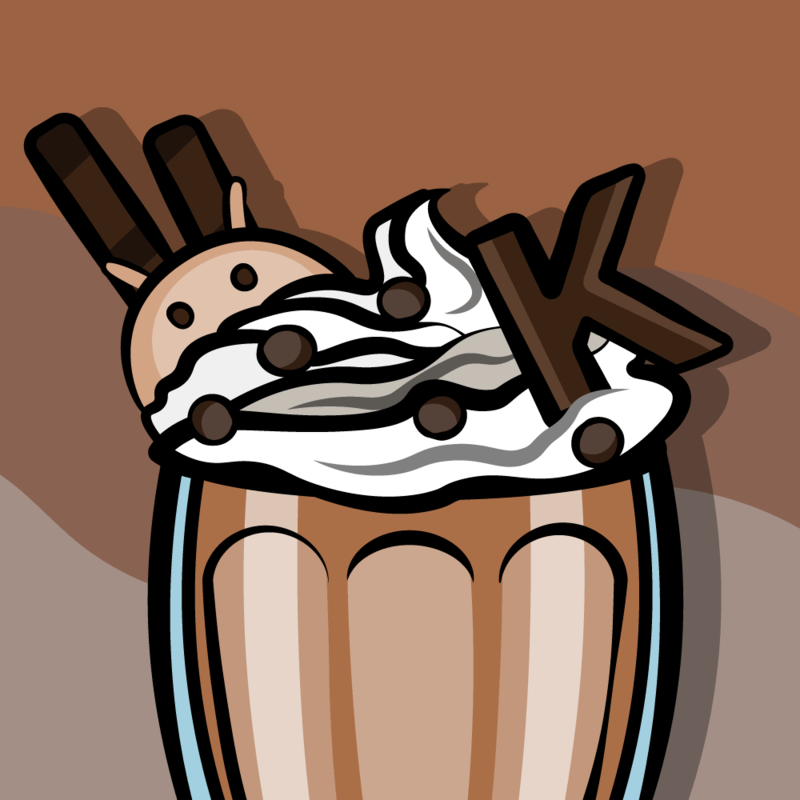 This will be done in the code but is illustrated here to visually complete the design. Click on the text tool and type some text on the document. It will automatically create a new layer. The font used in this case is Helvetica 30 pts. 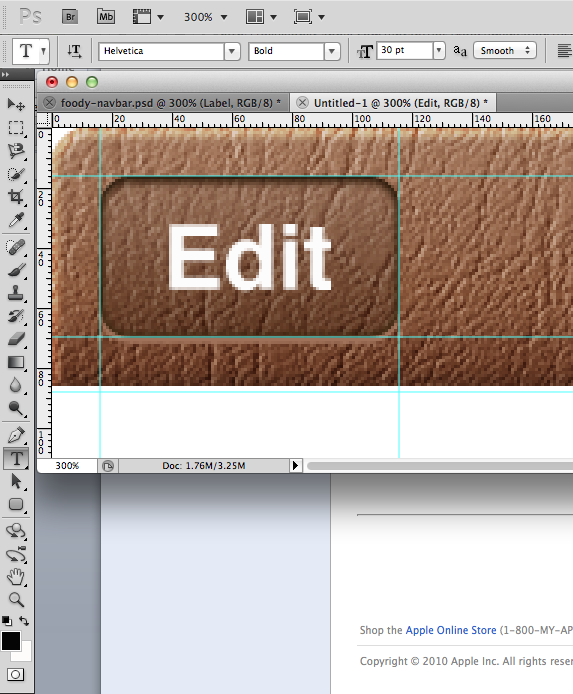 Add the drop shadow layer style to the text to make look inset into the button. The color of the drop shadow is #4b2f20. 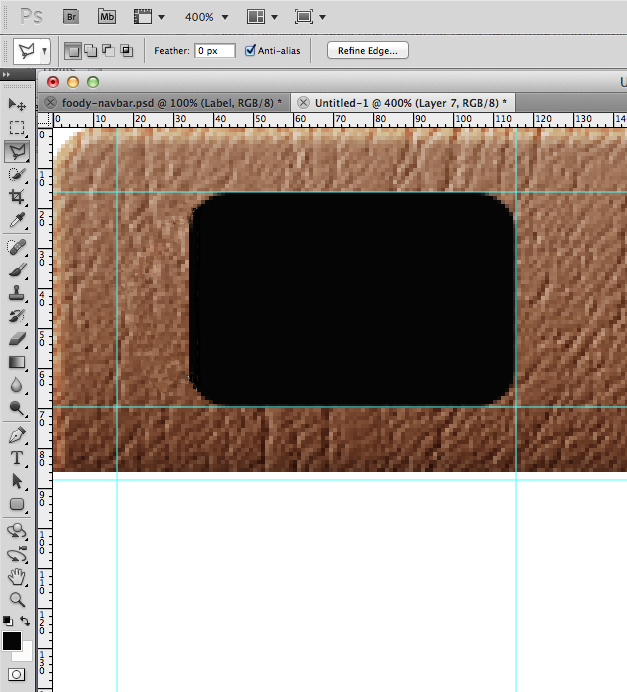 The next step is to add the background for the back button. 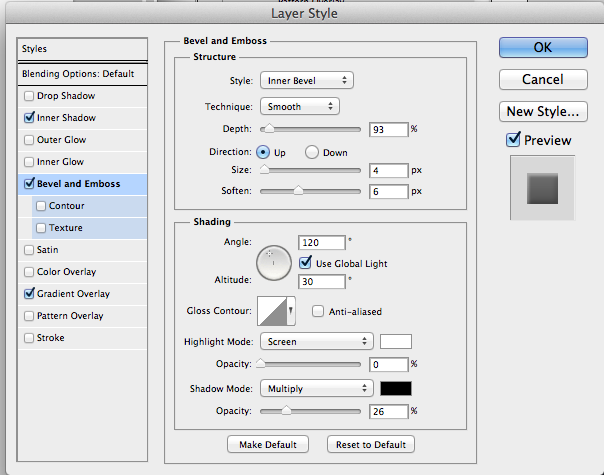 Before you do that, select the button and text layer (hold down Command to select more than one layer), choose the Move tool (type V to use the shortcut for this), and move the layers for the bar button and the “Edit” text all the way to the right. Create a new layer. 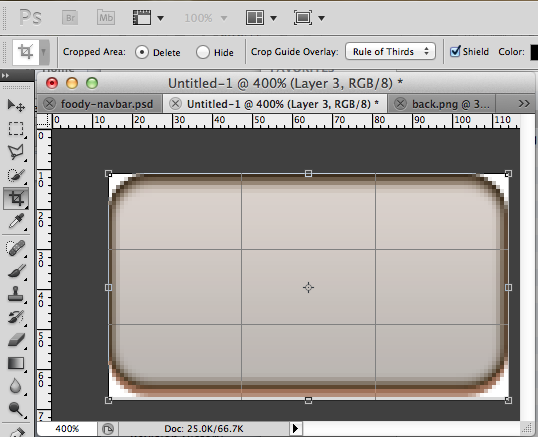 Click the Rounded Rectangle Tool and draw a rectangle that almost covers the area defined by the guide. 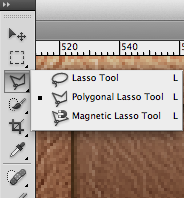 Select the Polygon Lasso Tool, then use it to select a triangular area by clicking at the three edges. Fill the area with a black color: go to Edit->Fill, select Black, and click OK. Now you have the shape for the back button. 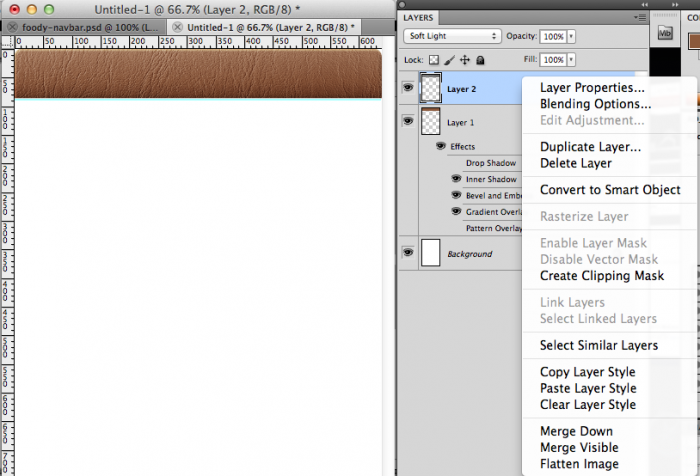 Add a new text layer with the contents “Back,” and then copy and paste the layer style from the “Edit” text layer. Add another text layer for the title of the bar, type the text “Preparation” and make the font a little bit larger. 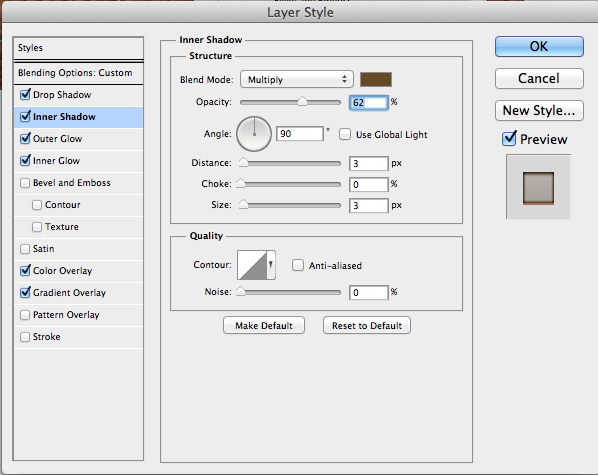 Copy and paste the layer styles from either of the previous text layers. Now the navigation bar is complete. The next step is to export the images so you can use them in an app. 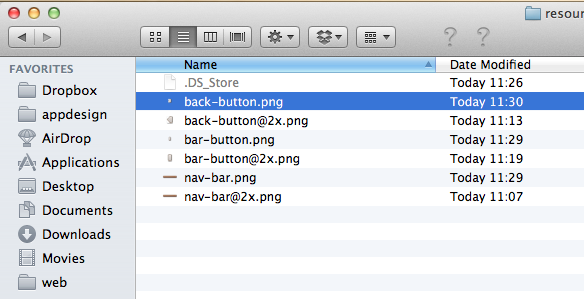 A bit later on in the tutorial, you’ll create a sample app that uses the bar’s elements in navigation. Make sure you save your document now. We’ll export the bar background first. 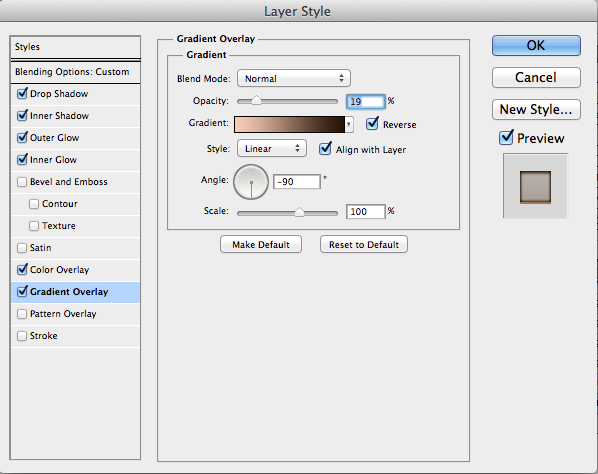 Turn off the visibility of the other layers by toggling the eye icon to the left of the layers in the Layer panel. Don’t forget the white background layer as well. 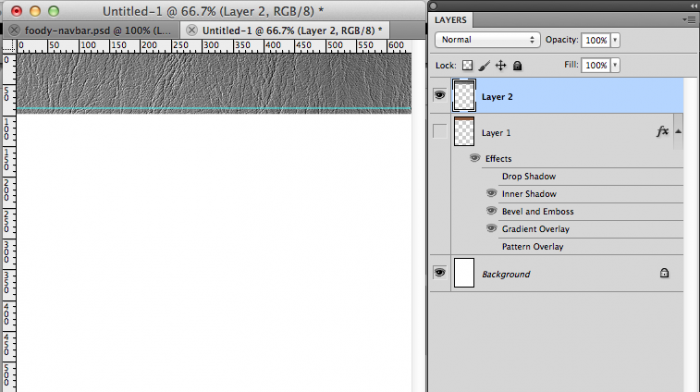 Select an area around the background layer. Click Enter to commit to the crop. Save the file as a .PNG by choosing File->Save For Web and Devices. Choose PNG-24 as the type and click Save. 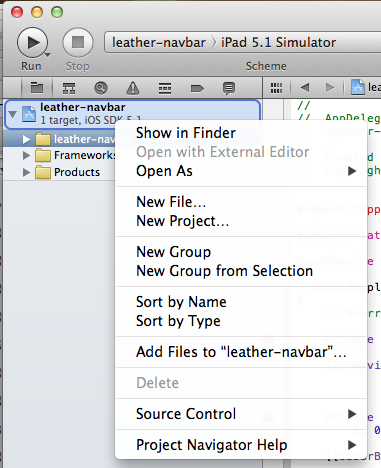 Type in the name of your navigation bar, “nav-bar.png” and click Save. 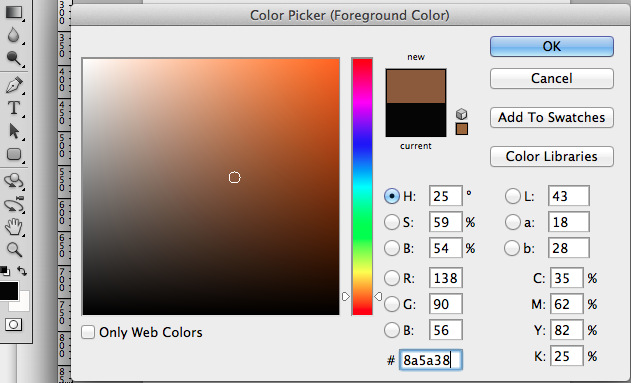 Select the History Palette and go back in the history to the point before you used the Crop Tool. 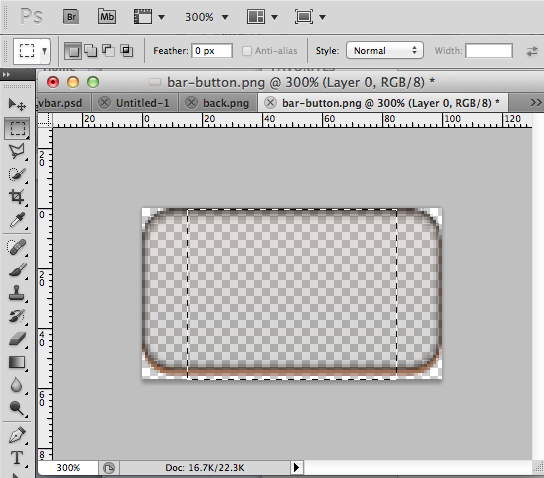 Turn on the visibility of the back button layer and turn off the others. 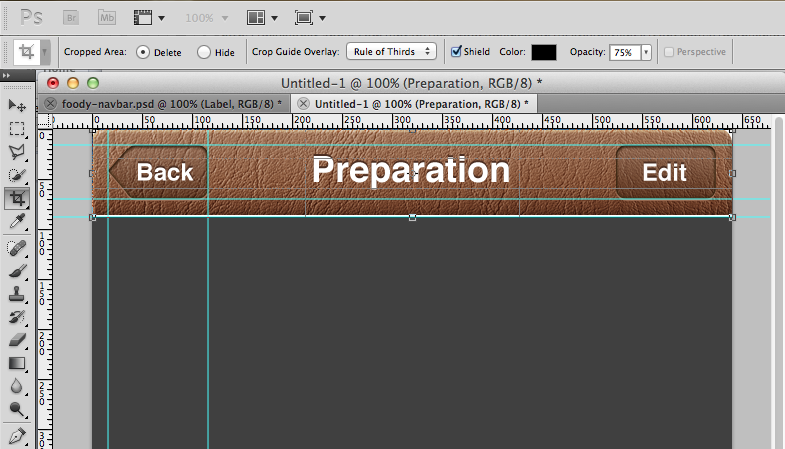 Use the Crop Tool again to select around the back button and crop the document. 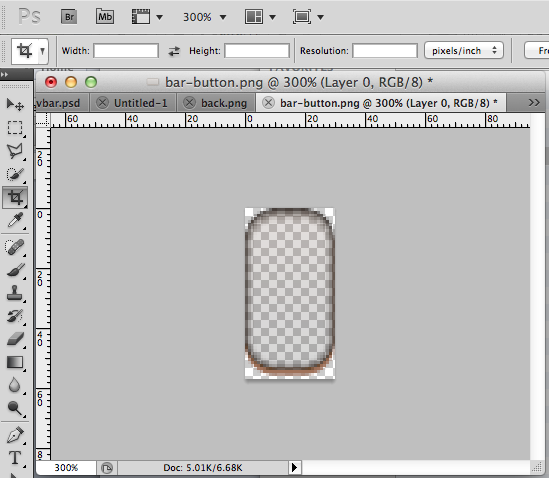 Next you need to make some modifications to the image so it can be used as a “resizable/stretchable” image in Xcode. The way this works is you set up part of the image to “always stay the same, regardless of height/width”, and part of the image to repeat itself as necessary to reach any desired height/width. 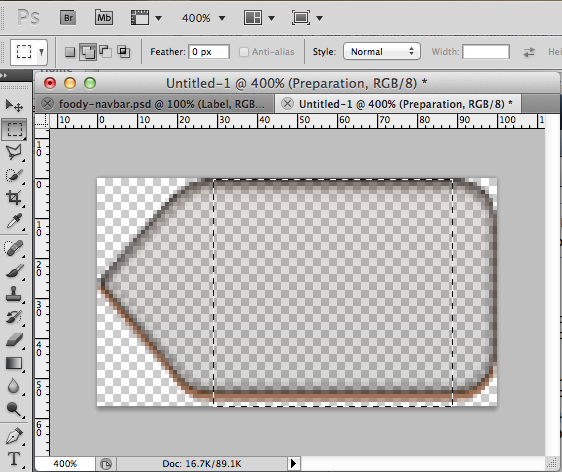 Use Selection Tool again to draw a selection around the right side of the image. Choose the Move Tool and use the left arrow button on your keyboard to move the graphic to the left until it joins the rest of the button on the left. Crop out the extra space to the right of the button. Save this image as the “back.png.” You can replace the previous file with the same name. Do this same process with the bar button. At the moment, all the images you’ve created are in the retina resolution. To indicate this before you create non-retina versions, rename each of the files nav-bar.png, back-button.png and bar-button.png so that they have an @2x at the end of the filename. Now open up each of the images in Photoshop and resize them to half the size by going to Image>Image Size, and resizing by 50%. 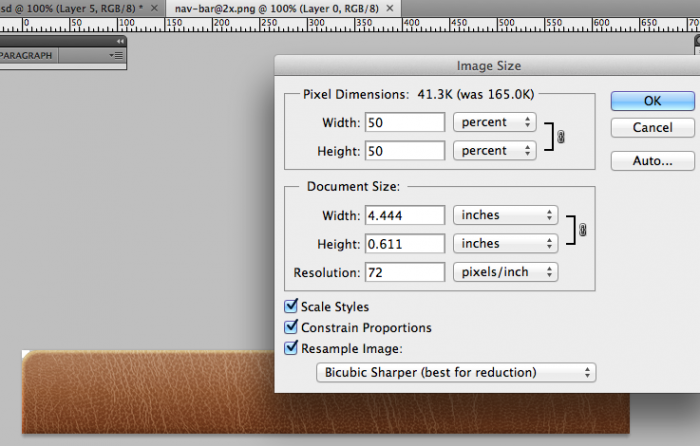 Select the “Bicubic Sharper” sampling option because we are reducing the image. Save For Web and Devices again, using a filename without the @2x. 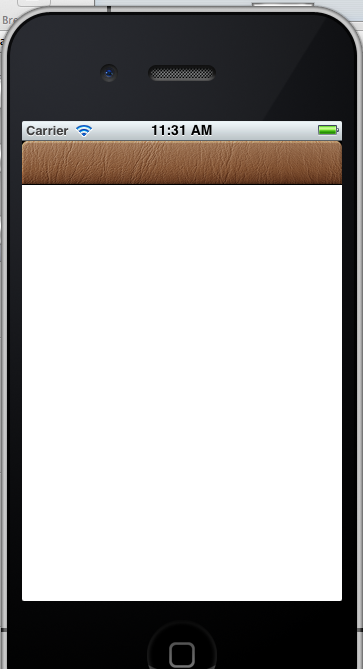 It’s time to use the current images in a real app that will run on the simulator. 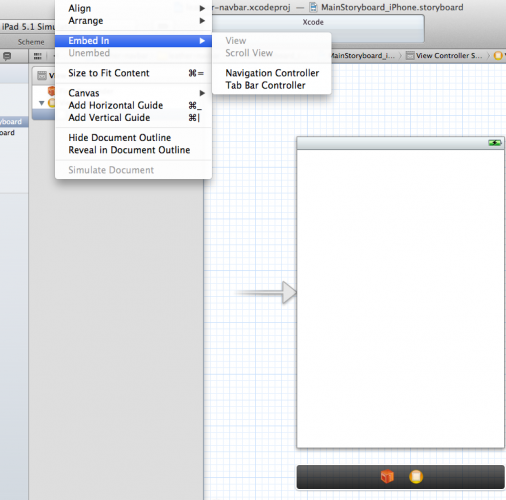 Open up Xcode and create a new project with a single view. 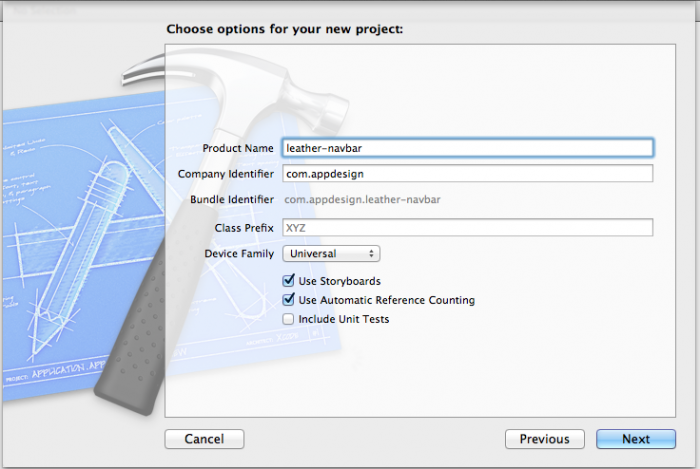 Drag the images you made earlier into your project and make sure to select “Copy items into destination groups folder”. 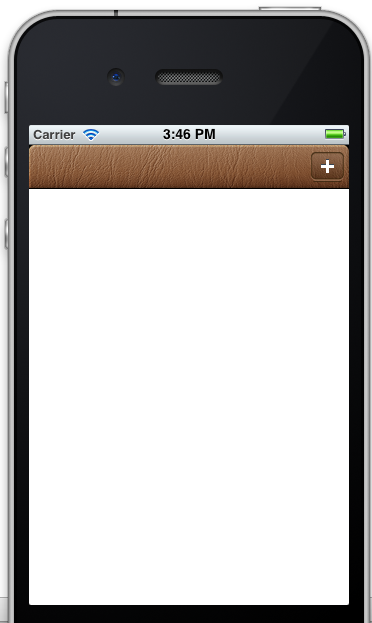 This uses the UIAppearance API (new in iOS 5) to customize the look of any navigation bars/bar button items in your app with these new textures. For more information on how to use these APIs, check out this tutorial. 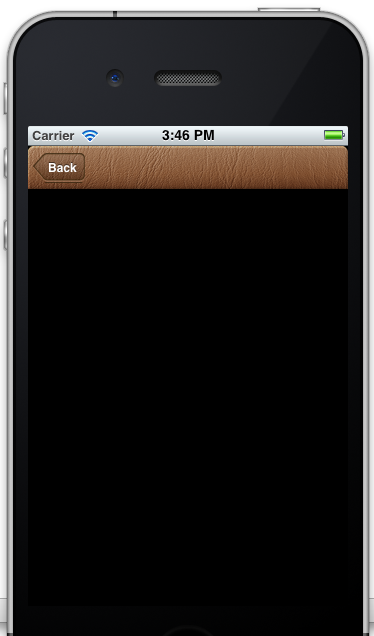 Run the app in the simulator and you should see a customized navigation bar with the leather effect! Now if you run the app, you should have a bar button item with a + sign that has a custom background. Note that it shows the + button because that’s what you get when you choose UIBarButtonSystemItemAdd. 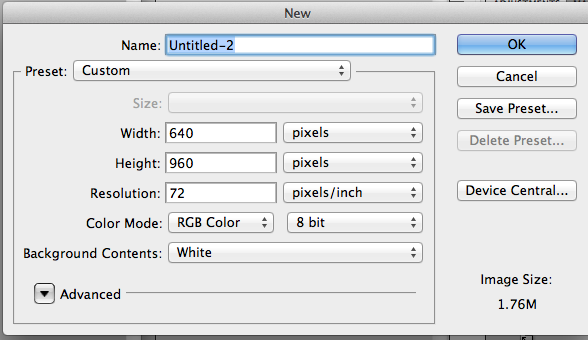 Also note that it auto-sizes the button to the correct size automatically because you used a resizable image! Tapping on the bar button item will push a new View Controller, and you can then see a back button that uses the custom background you created. 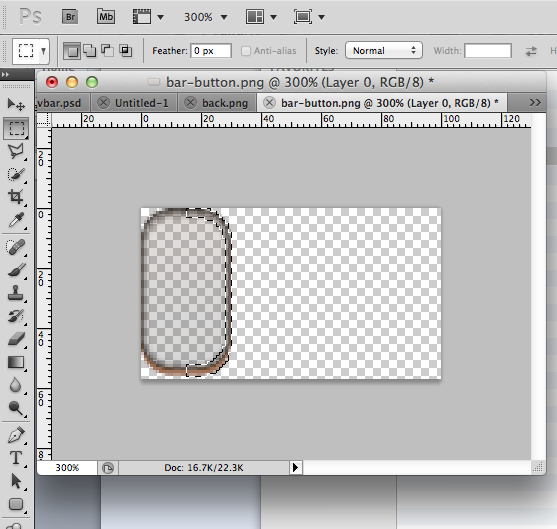 To sum up, you used Photoshop to create a custom navigation bar that had buttons with a custom background. You exported the images and then used them in a sample app. This is a big step toward creating custom apps that stand out and look different from the default look and feel of a UIKit app. Congratulations! Here is an example project with the final Photoshop file and sample code for this tutorial. Of course, sometimes you may not want to go through the process of creating Photoshop designs yourself. 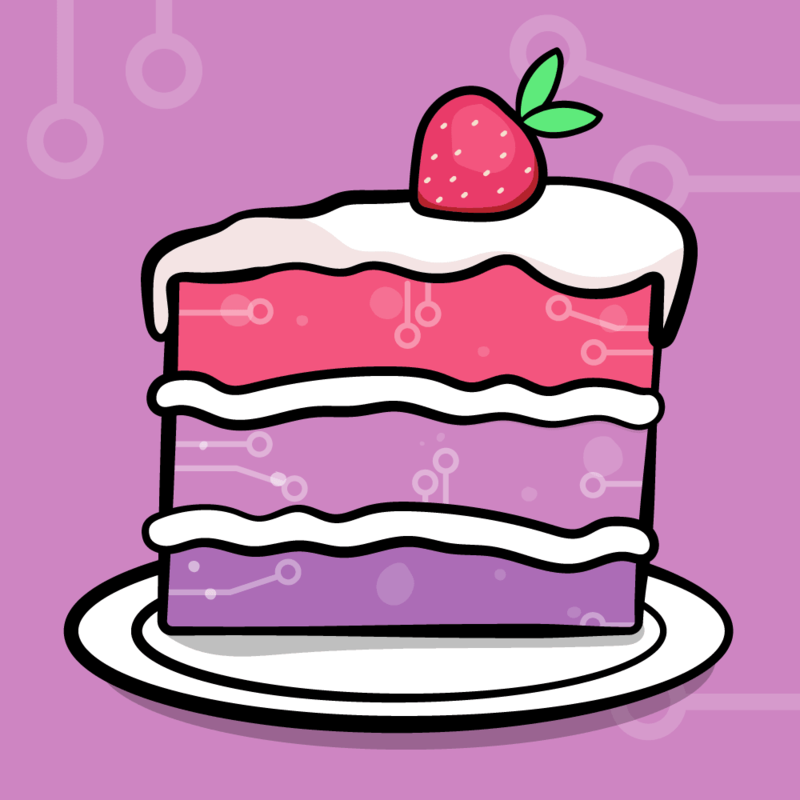 This is why I created App Design Vault. 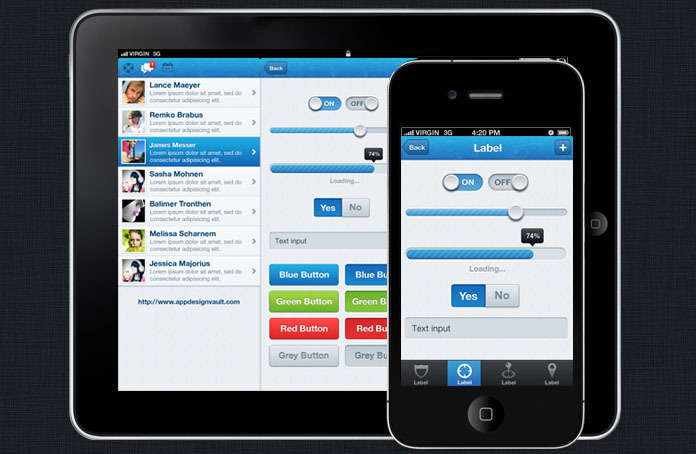 After all your hard work… click here to get a free template that includes custom designs for almost all the UIKit controls including Navigation Bar, Tab Bar, UISwitch, UISegmentedControl, UIButton, UIProgressBar, USlider, iPad and iPhone retina designs, and more. Please visit the forums to let me know what you think of the tutorial and the free template, and if you have any questions!